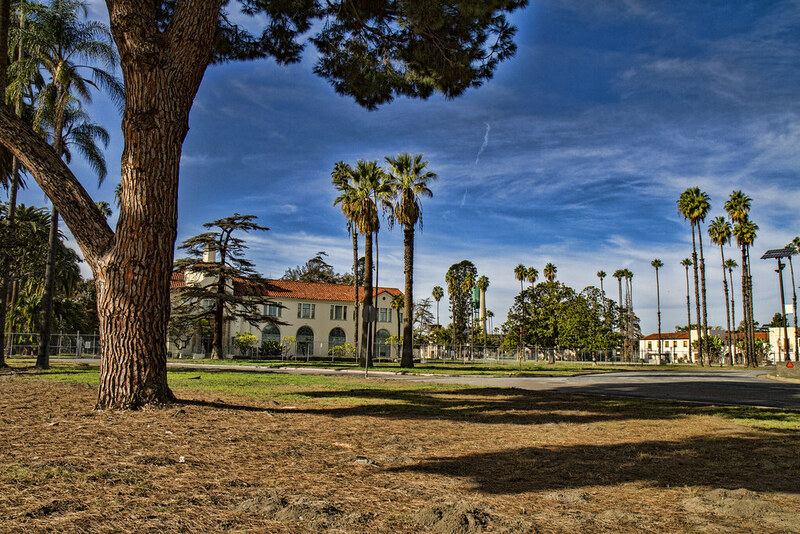 The south campus of Rancho Los Amigos is an odd reminder of Downey's past that has been locked up for years now. While you can still drive through the main section from Imperial to Gardemdale, the major portion of the property remains fenced off from the curious—which includes me. I have heard for years that the county has plans for the property, but have yet to see any indication of that. I have, however, hoped for years to have the opportunity to photograph the buildings that remain. "You have to know the past to understand the future"
Do you know the ice cream man? Flowers are yard art too!